We are down to the wire in the Pennsylvania 12th. I have been hearing various reports on turnout. According to the Burns campaign, turnout is a bit higher than they expected but fortunately it is even stronger in the counties with higher GOP registration. I spoke with two Democrat Town Committee members and they both said they were surprised by the GOP turnout in Washington, PA. The other thing that surprised me was that at the 6 polling places I visited today (I was working as a runner for the campaign) there was no presence for Mark Critz. Of course they may have been inside the polling places. Apparently,Mark Critz was absent the day they taught election rules in Pennsylvania. 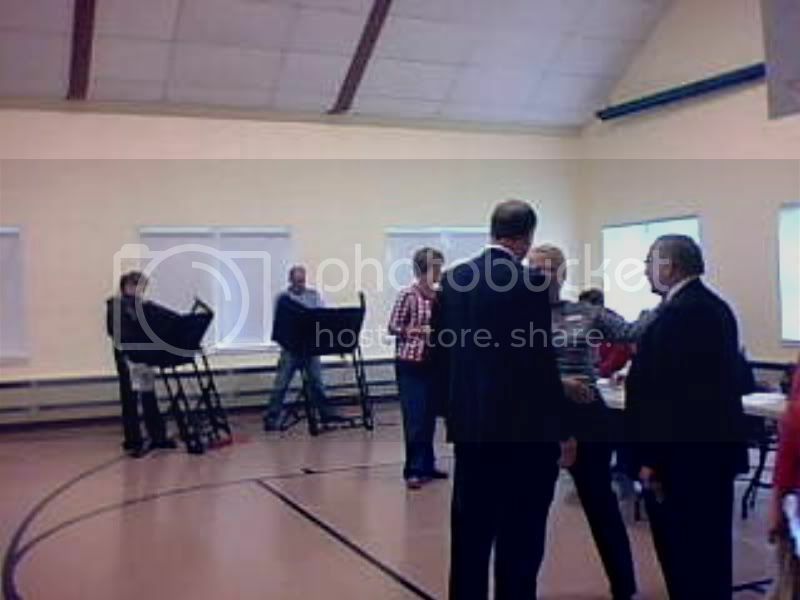 Courtesy of the Pennsylvania GOP, the above is a picture of Mark Critz campaigning inside a polling location. I spoke to a number of voters who expressed their displeasure at the number of phone calls they had gotten from the Burns campaign (but they were still at the polls.) 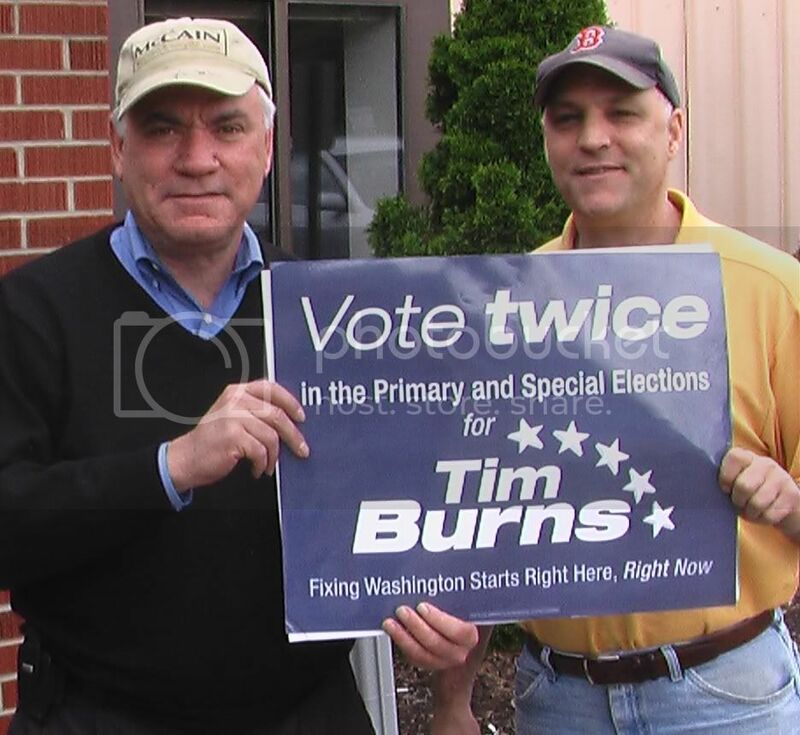 I even joked with one couple that if they didn't vote for Tim Burns we'd call them again tomorrow. Note to RNC and NRCC: I understand that the auto-voicemail feature on the VOIP phones speeds up call volume (One young women in the Washington, PA call center made 337 calls in 90 minutes using 3 phones) but people were complaining about receiving robo-calls when we didn't make any. Interestingly, I heard no such complaints from Democrats/Critz voters. I will be heading to the Burns Election night party in about an hour. I'll be tweeting from there. Check for #PA12 and #RMG in the stream for updates. Me and John LaRosa outside a precinct polling place in Washington, PA.